It's finally official. 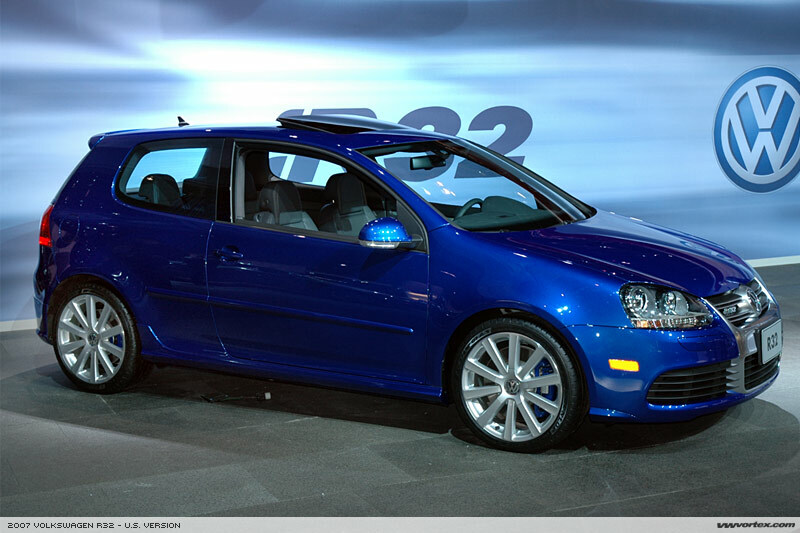 The 2008 MkV Golf R32 will start appearing at United States dealerships in August 2007. Reserve yours now! I quoted most of the salient details, but there's more information in the original article. Like the 2004 R32, the U.S. will only be getting 5000 of the 2008 R32s. I think the DSG transmission and Bi-xenon lamps are the only changes of any significance, and personally I'm not sure whether I'd still rather have a stick shift. 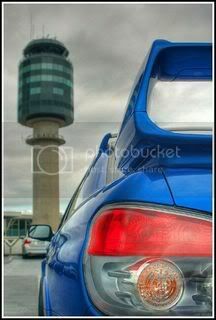 It's hard for me to say as I haven't had a chance to try out a car with DSG. It also looks like the engine in the 2008 R32 is essentially the same as the 2004, 250-hp and 236 ft-lbs of torque. If you're bored, you can read my thoughts on the subject in a previous post. Hmmm... it just occurred to me that the article doesn't mention whether Canada will be getting any 2008 R32s. Yeah, at first I didn't like how the MkVs looked, but they're beginning to grow on me.